It's Christmas and for me, Christmas has always been a time for family and for spending time together. 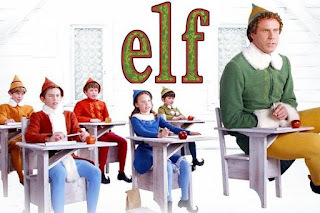 Most nights, we curl up together in baskets around the fireplace and watch Christmas films and so I thought I would share my top 10 Christmas films! Four Christmases: When their plans for an exotic vacation fall apart, unmarried couple Brad and Kate must spend Christmas Day trudging around to a quartet of family get-togethers thanks to both parents being divorced. Love Actually: Love Actually explores the ups and downs of relationships in the weeks building up to Christmas. Boyfriends and girlfriends, husbands and wives, fathers and sons and rock stars and managers all combine to make Love Actually not just one story but ten very different ones. The Holiday: 2 lovelorn women from opposite sides of the Atlantic Ocean temporarily exchange homes to escape heartbreak during the holiday season. 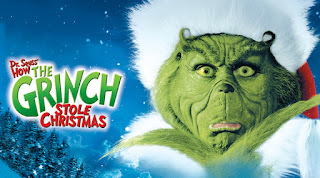 The Grinch: The reclusive green Grinch decides to ruin Christmas for the cheery citizens of Whoville. 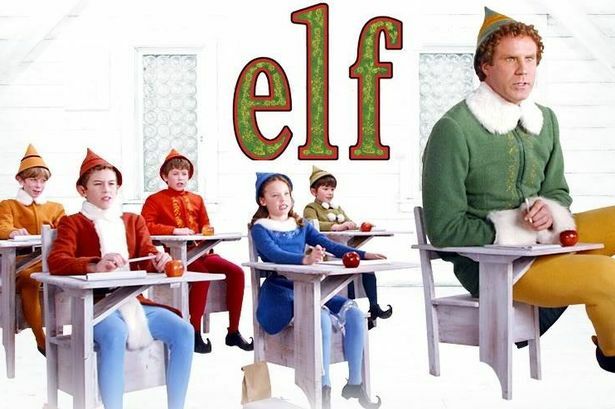 Elf: Buddy (Will Ferrell) was accidentally transported to the North Pole as a toddler and raised to adulthood among Santa's elves. Unable to shake the feeling that he doesn't fit in, the adult Buddy travels to New York, in full elf uniform, in search of his real father. 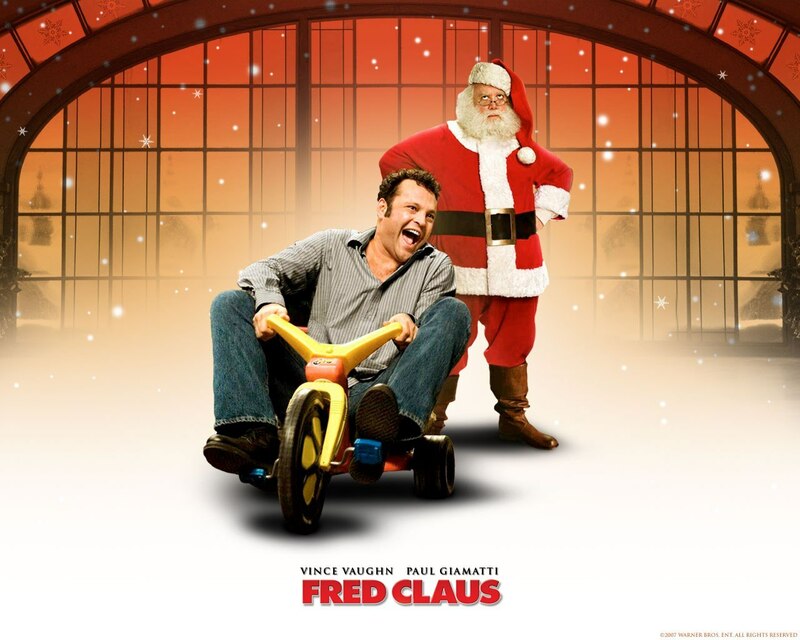 Bad Santa: 2 conmen go on a road trip to malls dressed as Santa and his elf but rather than spreading good cheer, they plan to rob each establishment. 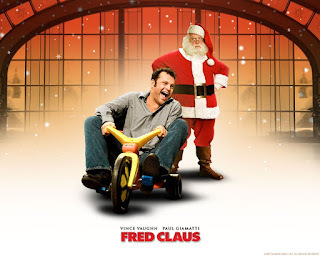 Fred Claus: The Claus brothers are total opposites but when Fred's criminal ways land him in trouble, Nicholas bails him out and brings him to the North Pole to work off the debt by making toys. 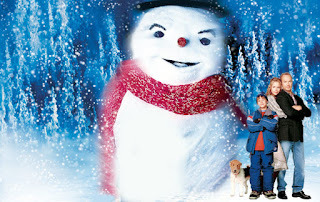 Jack Frost: Jack, a traveling blues musician, has spent little time with his son so when he dies in a car accident and comes back to life one day as a snowman, he tries to make up for lost time. 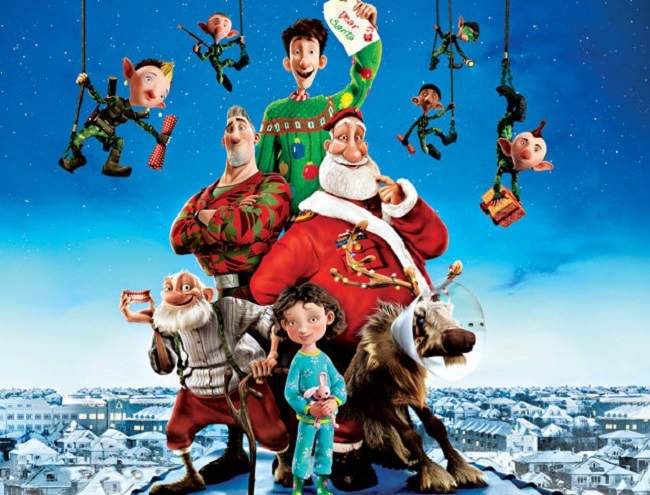 Arthur Christmas: How can Santa deliver billions of presents to the whole world in just one night? With an army of one million combat-style Field Elves and a vast, state-of-the-art control center under the ice of the North Pole! So how could this incredible operation have MISSED one child?! Home Alone: Eight-year-old Kevin McCallister becomes the man of the house overnight when he is accidentally left behind when his large family rushes off on a Christmas vacation. There are my top 10 favourite Christmas films! I'm defintely into the more modern films but I still do watch the older ones per my mother's request.